Rev. Michael J. Ranahan, CSV, died at the Holy Family Health Care Facility at 8:50 p.m. on Wednesday, November 20, 1996 after a struggle with pancreatic and liver cancer. He was 82 years old. Born on June 2, 1914 in Chicago, Mike Ranahan graduated from Quigley Preparatory Seminary in 1933. He entered the Viatorian Novitiate in Sept. of 1933 and professed his first vows as a Viatorian on Sept. 8, 1934. He subsequently received his undergraduate degree in accounting from St. Viator College and completed his theological studies at Kenrick Seminary and St. Thomas Seminary in Denver. Mike was ordained to the priesthood on May 22, 1941 in Chicago by Archbishop Samuel Stritch. After two years of ministry at the Provincial House he was appointed Associate Pastor of St. Viator Parish in Chicago from 1943 to 1949. In 1949 he was appointed Provincial Treasurer and member of the Provincial Council and he served in that capacity until 1954 when he returned to St. Viator Parish in Chicago. 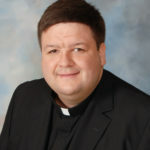 He served as Associate Pastor and Pastor at St. Viator. From 1964 to 1968, he was Associate Pastor at Maternity Parish in Bourbonnais. After completing his service in Bourbonnais, Mike returned to ministry within the community while serving as Superior at the Sheridan Road Residence (1968-1972) and at the Pratt Avenue Residence in Chicago (1972-1978). In 1978 Father Ranahan became Chaplain for the Franciscan Sisters at St. Francis Convent in Springfield, a post he held until 1984 when he retired to the Province Center in Arlington Heights. He had been in residence at the Province Center until his hospitalization only one week ago. Visitation was held at the Province Center in Arlington Heights on Sunday, Nov. 24, 1996 from 4:00 to 8:00 p.m. with a prayer service at 8:00 p.m. 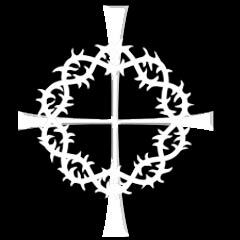 The Mass of Christian Burial was celebrated at the Province Center at Monday, Nov. 25, 1996 at 10:30 a.m. Burial was in the community plot at Queen of Heaven Cemetery in Hillside, IL. Fr. Ranahan is survived by his sister-in-law, Joanne Hogan, of Albuquerque, New Mexico, as well as many nieces, nephews and cousins. 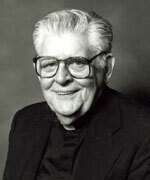 Remember Fr> Ranahan in your prayers and gather together in local communities to remember him in Eucharist.